Images are from : http://www.stickersgalore.com/2001/stickers.html. I copied the images and enlarged them or changed the colors using Microsoft Paint. The poem is from dMarie.com's poem place. 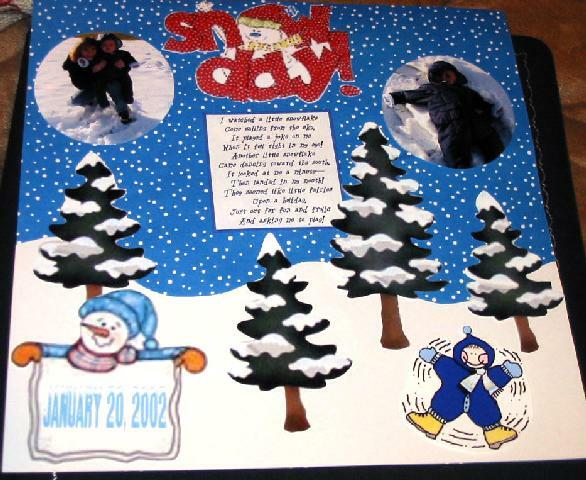 The background paper is Over the Moon and I used white cardstock and cut it out to look like snow. Thanks for looking!